Nostalgia is a funny thing. It can make us feel almost home sick towards a certain time in our lives. As the decades go by, we forget the bad things we might have experienced, and remember the things that made those decades uniquely wonderful and glorious. When we think back to the ’80s, for example, we think of Madonna and Michael Jackson, of big hairstyles and leg warmers. When we remember the ’70s, we think of Star Wars and Farrah Fawcett. Each time had its own outfits, its own iconic stars and TV shows, and its own celebrity scene. It’s fun to think back at those times, and even better to see pictures commemorating the moments had by those legendary celebrities that we looked up to in those days. Dean Martin and the huge stars of the Rat Pack, Barbara Eden, Monty Python, and Led Zeppelin – they are all elements that define pop culture as we know it today, and they all helped shape who we are. These people, along with many other greats, appear in the images that we bring you in this list, and just looking through it, we can’t help but feeling nostalgic towards older times, and that magical old Hollywood glam. This picture, which dates back to 1968, perfectly captures Candice Bergen’s natural beauty. She started out as a model and turned into a famous actress, after landing some major roles in the ’70s. She starred in the western Soldier Blue and in Burt Reynolds’ romantic comedy Starting Over – a role for which she received an Oscar nomination. In television, she starred on Murphy Brown as the titular character, and was a series regular in Boston Legal between 2005 and 2008. If you were born after the 70s, there’s a chance you may not recognize this lovely blonde young lady pictured here. But for everyone else, former Miss Teenage Memphis Cybill Shepherd is very well known to them, from the work she’s done in the past as a fashion model, an actress, and a singer. Out of those three things, she’s probably most known for being a model, and based on the picture you see here, it’s not hard to see why. We can’t imagine that you wouldn’t start feeling nostalgic about the picture you see before you, when you have a memorable actress such as Faye Dunaway dressed up for a role that got her so much attention from the masses back in the 60s. This was her role of Bonnie Parker in the classic crime film Bonnie and Clyde, where she starred magnificently alongside actor Warren Beatty. In fact, people love the pair of them so much that they’ve been labeled by some as the best crime couple is history. One of the most memorable actresses of the 60s was none other than Katherine Ross, who is perhaps best known for her portrayal of Elaine Robinson in the hit classic coming-of-age film Mrs. Robinson, starring a young Dustin Hoffman. In fact, this picture of her hanging out on the beach was taken only a year before the movie was filmed. Getting a major role like that in a feature film can’t have been easy, so we’re not surprised that she seems to have been pretty well known already. If you’re even a semi-avid movie watched of the modern generation, than you must have seen Liv Tyler appear in a film or two. 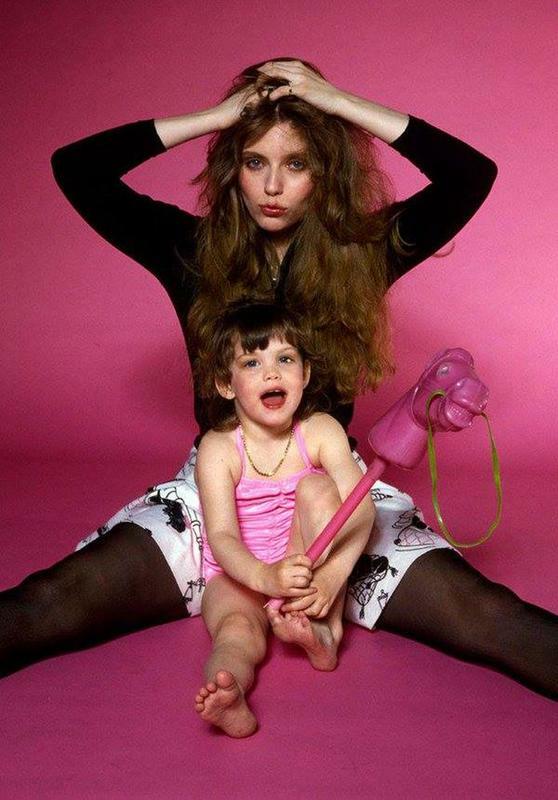 The daughter of rockstar Steven Tyler and fashion model Bebe Buell, she was famous from the moment she entered this world. As you can see here, Buell and her young toddler Liv were posing in photoshoots long before the high elf Arwen was choosing to live a mortal life with Aragorn in the hailed city of Gondor. One of the most influential and monumental rockstars of our time is the late David Bowie. When he came onto the scene with his bizarre yet catchy sound, he began to cultivate for himself an extremely devoted following. As you can see here in the this picture, his following extended to various demographics, and one of those were young ladies. If you were around during the 70s era in the music industry, you’re probably feeling nostalgic from this. The wonderful Barbara Eden began as a semi-regular on The Johnny Carson Show, in the mid 1950s. The actress appeared in shows like the iconic I Love Lucy, crime action show Highway Patrol, the comedy How to Marry a Millionaire, drama series Dallas, and The Tonight Show Starring Johnny Carson. But the role she’s mostly known for playing until today is the part of Jeannie in the wildly popular 1960s family comedy, I Dream of Jeannie. 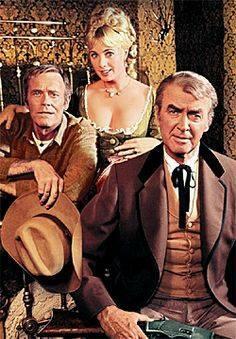 Pictured here are Shirley Jones, James Stewart, and Henry Fonda, the stars of the 1970 western romantic comedy called The Cheyenne Social Club. The film was written byJames Lee Barrett and Gene Kelly directed and produced it. The classic movie revolves around an aging cowboy who gets ownership over a brothel by inheritance, and tries to turn it into a boarding house instead. Of course, things don’t go smoothly as the ladies of the place, as well as their clients, are not pleased by the change. Ah, ’70s fashion. Who can forget these crochet vests? No ’70s wardrobe was complete without them! We get to see all of the colorful clothes that were popular in that fashionable decade in TV shows and movies every now and then, but looking at this picture of the real deal truly makes us feel nostalgic towards those days. 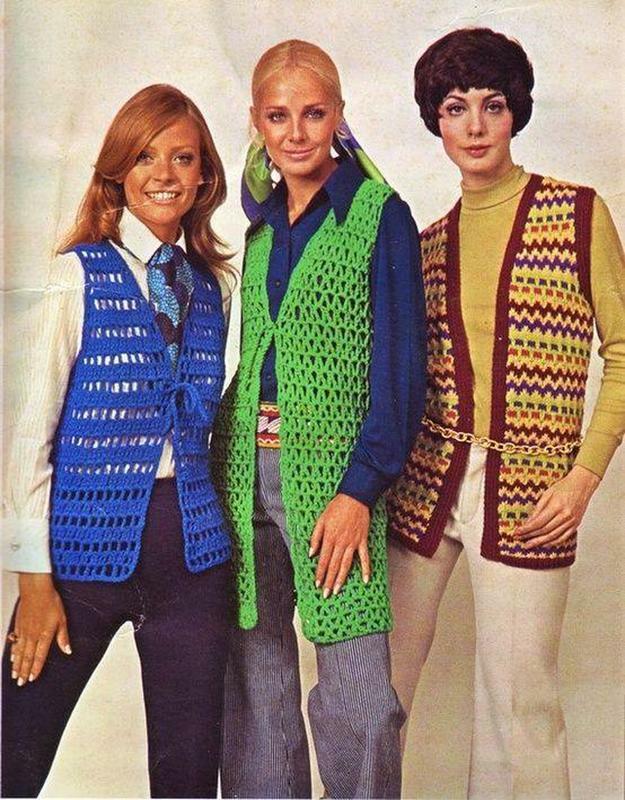 Crochet vests were all the rage back then, and the crazier they were, the better it was. 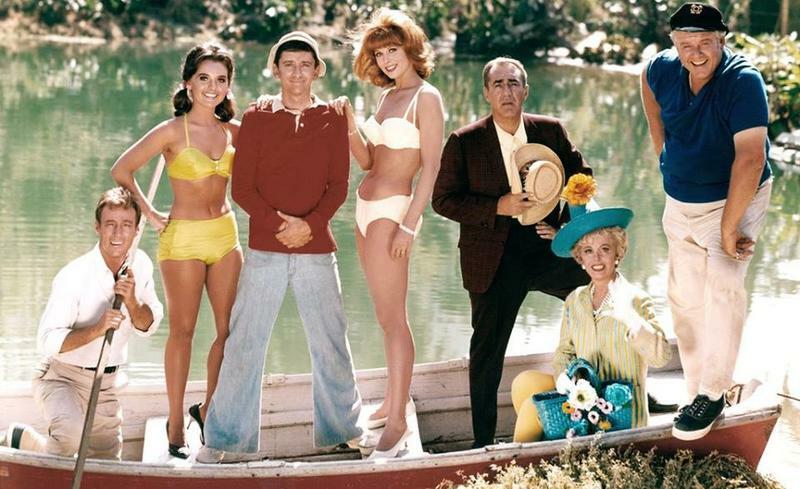 Remember Gilligan’s Island? Well, here are the cast members, pictured while getting ready for their 3-hour tour back in 1964. The wonderful ensemble included actors like Bob Denver, Natalie Schafer, Alan Hale Jr., Tina Louise, Jim Backus, Russell Johnson, and Dawn Wells. The seven castaways survived through many adventures on an island, after having been shipwrecked, and they did it despite being very different in character. The popular comedy ran for three seasons, between 1964 and 1967. Monty Python was formed in the late ’60s by legendary comedian John Cleese, and its six members had us roaring with laughter in their sketch show Monty Python’s Flying Circus, as well as their hilarious movies. The Flying Circus was broadcast on BBC between the years 1969 and 1974, and it was written by its performing members. 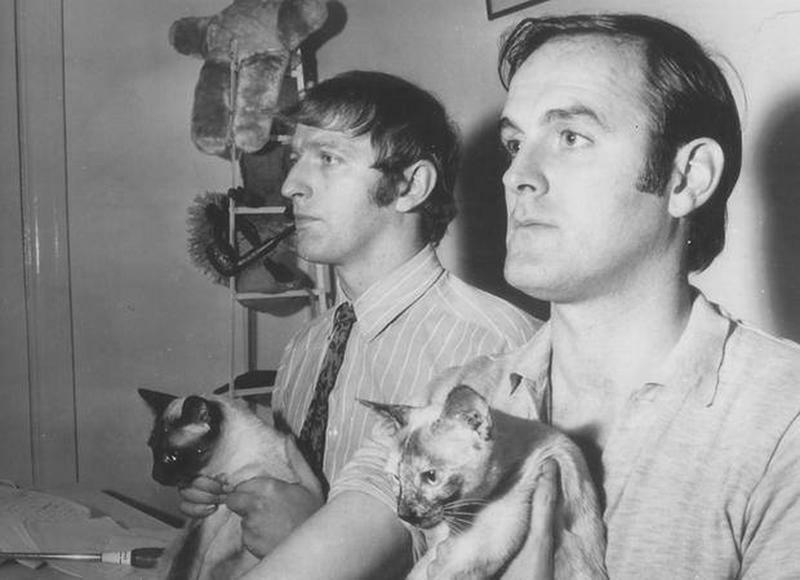 Pictured here are Graham Chapman and John Cleese, holding cats and looking solemnly funny, in the year 1969. Heather Locklear is a successful actress with impressive TV and movie careers. She got her big break on the show Dynasty, and later became part of the iconic drama show Melrose Place, playing the part of Amanda Woodward. She later had roles in the comedy series Spin City and the drama LAX, and more recently in the TLC drama Too Close to Home. The actress became worldwide famous thanks to her great acting skills as well as her remarkable beauty – which is very apparent in this picture. Before she was Dr. Evelyn Vogel in the last season of the crime drama Dexter, Charlotte Rampling was a 1960s model, and a major fashion icon. At the end of the decade she began acting, and gained huge popularity when she appeared in movies like The Damned, The Night Porter, and Woody Allen’s Stardust Memories. She also appeared in the ’80s drama The Verdict and the mystery film Angel Heart. More recently, she’s appeared in popular movies like Assassin’s Creed, and the Jennifer Lawrence starring thriller Red Sparrow. Angie Dickinson began her acting career in the 1950s, when she got her breakthrough roles in westerns Man with the Gun and Rio Bravo – a role for which she won a Golden Globe. Over six decades of acting, Angie had over 50 film performances as well as many TV roles. She was one of the top movie stars back in the day, and has taken part in films like Ocean’s 11 (both the 1960 and the 2001 versions), Point Blank, Pay it Forward, and Dressed to Kill. Hedy Lamarr was born in Austria, and was not only a movie star but also an inventor. Along with the composer George Antheil, she developed a radio based guidance system when World War II began – and their invention actually led to the development of Wi-Fi. In 2014 she entered the National Inventors Hall of Fame. The clever beauty was known for roles in movies like the classic Samson and Delilah, and the adventure drama Boom Town. Sadly, she passed away in 2000 of heart disease. 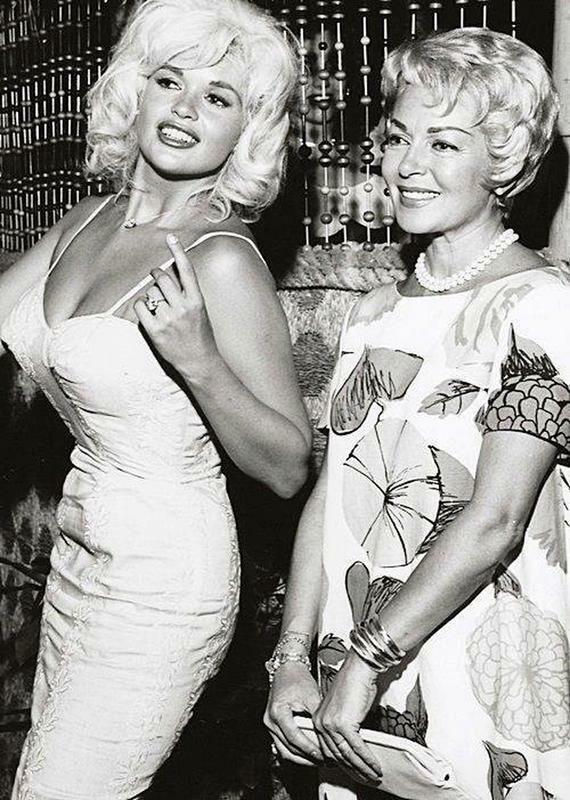 Actress Jayne Mansfield, the queen of publicity stunts, is pictured here, smiling and having fun with Lana Turner back in the 1950s, a decade before her tragic, untimely death. Lana Turner was also a famous actress, as well as a pin-up model, who’s kept her going for nearly 50 years. Lana was discovered at the Top Hat Malt Shop in Hollywood, and has since appeared in classic movies like Rich Man, Poor Girl, musical drama Ziegfeld Girl, and Dr. Jekyll and Mr. Hyde. Lana passed away from cancer in 1995. The Mamas & the Papas were a folk-rock band that was made famous in the 1960s. 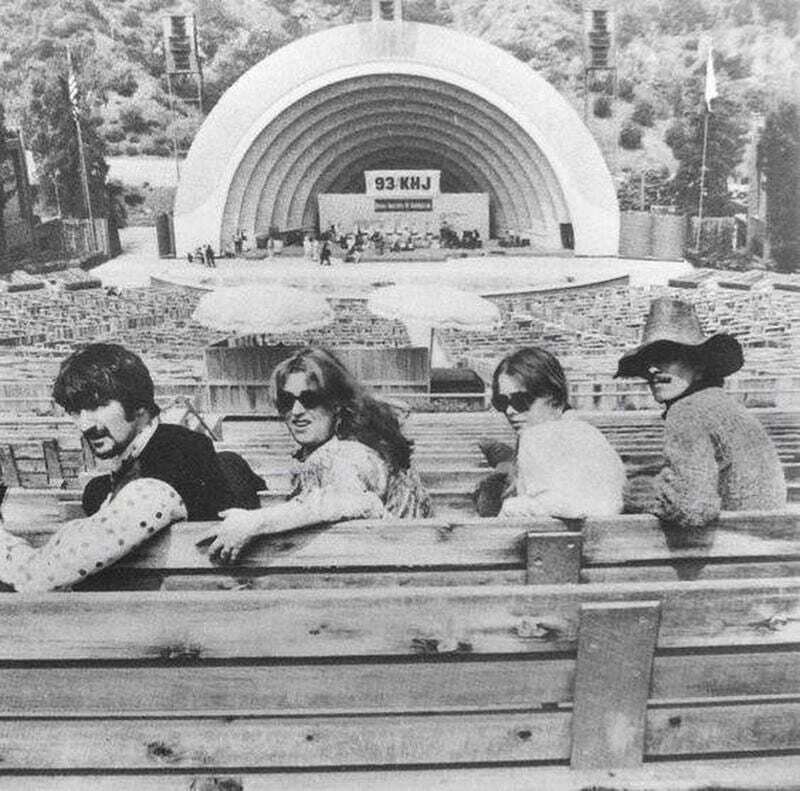 The members of the iconic band are pictured here, sitting on the bleachers at the Hollywood Bowl in the Hollywood Hills. 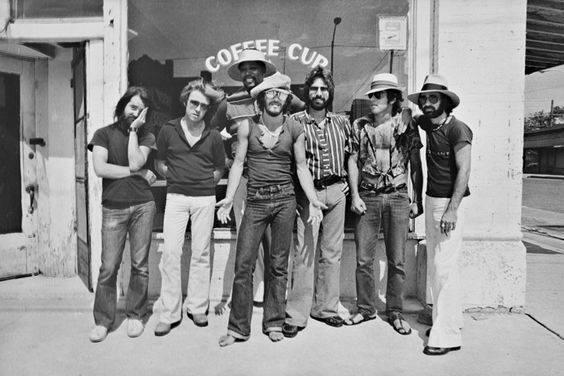 During the band’s four years of creating music, they released five albums and many singles – some of which made the top 10 lists. With almost 40 million of their records sold all over the world, the band was entered into the Rock and Roll Hall of Fame. Before the Beatles became a huge sensation and changed the musical scene forever, they were just beginning musicians. 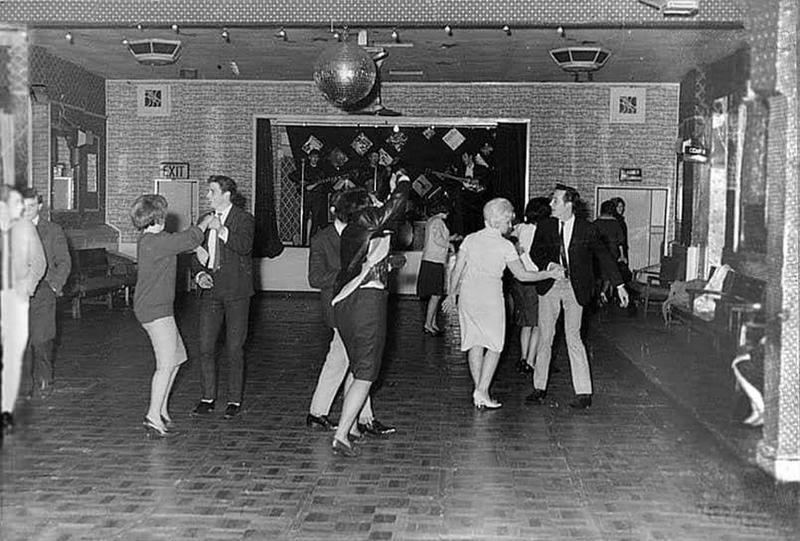 When they booked a gig in Aldershot, Hampshire, at the Palais Ballroom, only 18 people showed up! It was their first gig in south England, before Paul McCartney, John Lennon, George Harrison and Pete Best became superstars – but you could already see how much fun these people were having. This was the very beginning of what was later known as Beatlemania. In the 1960s, women everywhere ditched their traditional clothes and opted for the rebellious mini skirt. With so little fabric, these skirts made a huge cultural impact, as they were the symbol of modernization and liberation. Along with the invention of the birth control pill, times were changing, and in came the mini skirt. Women were enjoying more freedom as they went on dates without supervision and could choose their own future husbands now – and the mini skirt was a fun addition that fit these times. Susan Dey became a teen sensation when she played Laurie Partridge on the musical TV show The Partridge Family, back in the ’70s. She landed the role when she was only 16 years old, and was shot to fame when she made viewers fall in love with her. The beautiful and talented actress, who’s pictured here in a London fashion shoot, was nominated many times for Emmys and Golden Globes, and even won a Golden Globe for her role in L.A. Law, in 1988. 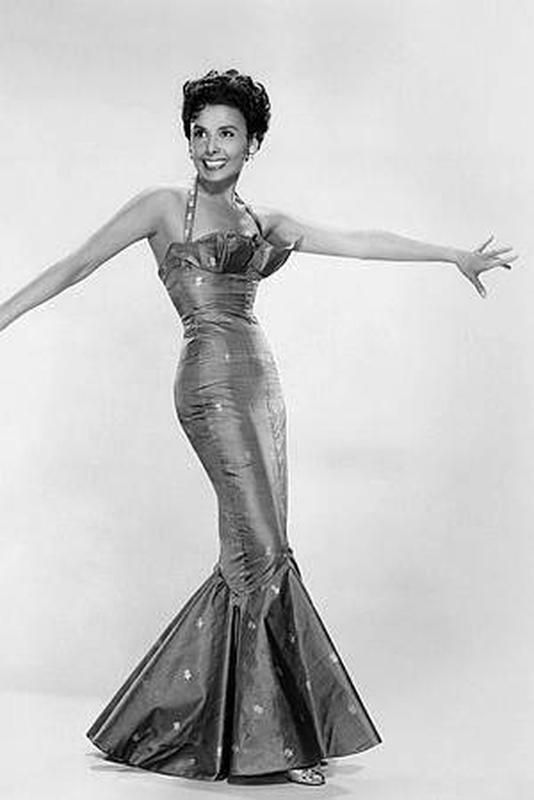 Lena Mary Calhoun Horne was a woman of many talents – she was a jazz and pop singer, a dancer, an actress, and a civil rights activist to top it off. She began performing when she was only 16, and cultivated a career that has spanned over seven decades. Unfortunately, her Hollywood career suffered due to her political activism, but her songs are still to be found in soundtracks for TV shows and movies until this very day. Dean Martin and the group of well-known, iconic celebrities of the Rat Pack were taking over the Las Vegan scene back in the ’60s. 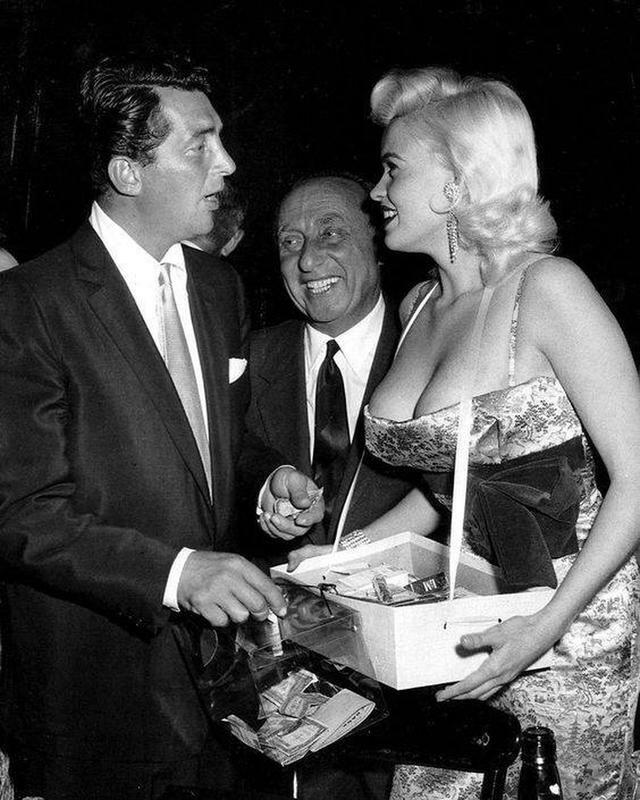 This picture of Dean Martin and Jayne Mansfield was taken in 1959, when Dean Martin was already a huge talent – doing music, comedy, acting, and even producing since the mid-1920s. The performer has had one of the most enduring careers in the business, and was so effortlessly charismatic that he was nicknamed “King of Cool”. 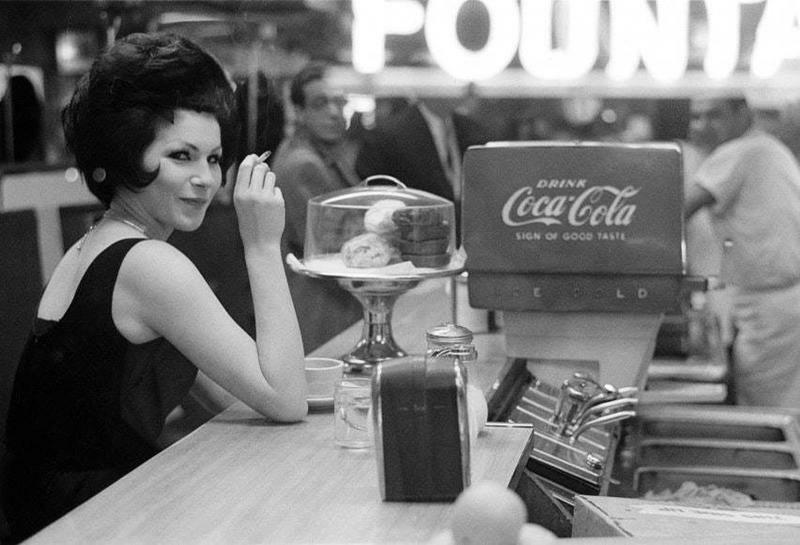 Speaking of the Rat Pack, this photo was taken in 1962 at a New York diner, and it beautifully captures the time. After World War II, New York became known as one of the greatest cities in the world, but after the population of the city peaked in 1950, prices rose and businesses were driven out of town. But even though it was a time of crisis for the city that never sleeps, it remained a huge point of interest even until today. 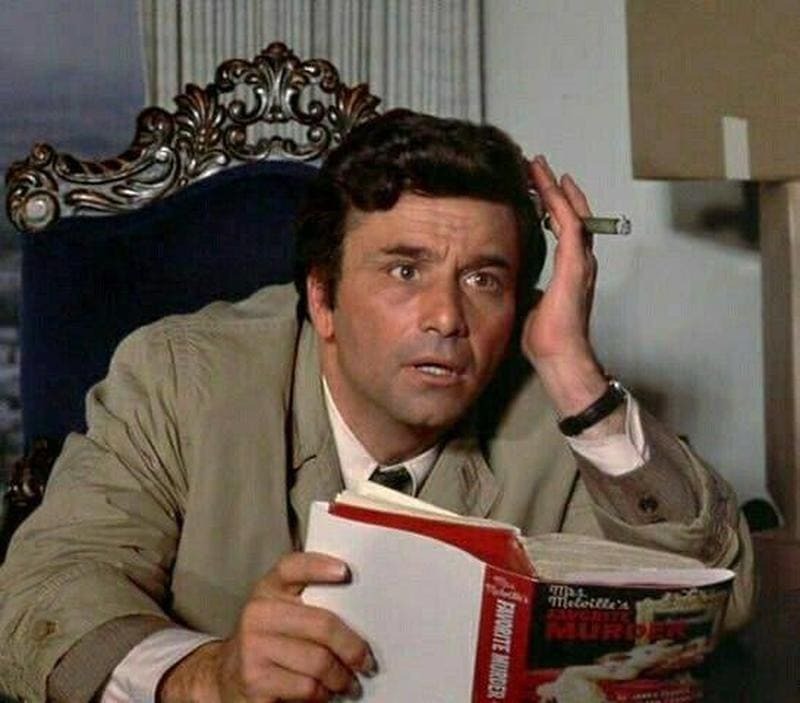 Remember the crime drama series Columbo? Peter Falk played the titular main role of the LAPD homicide detective. In this picture, Peter Falk is photographed with Columbo’s iconic raincoat and cigar. The show became somewhat of an icon, as it focused on the “howcatchem” format – the format in which the perpetrator is known to the viewers from the start – rather than the “whodunit” format, in which the cops try to discover who the perpetrator is. Joanna Lumley is an English actress, models, author, and a major activist. Back then when the picture was taken, she was on the TV show The New Avengers in the late ’70s. Later on, she appeared in titles like James and the Giant Peach, the comedy Ella Enchanted, Tim Burton’s Corpse Bride, and The Wolf of Wall Street. She also received a Special Recognition Award at the National Television Awards, and a BAFTA Fellowship award. The Days of Wine and Roses was a 1962 drama film. 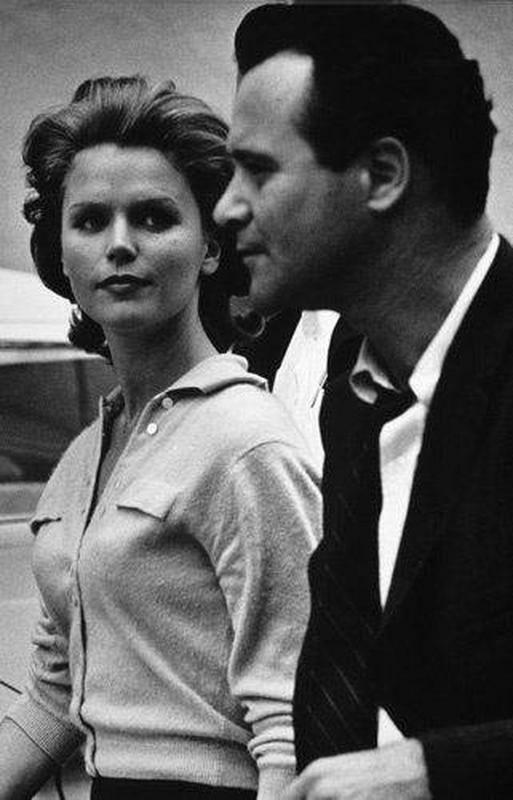 It was directed by Blake Edwards, and it starred Lee Remick and Jack Lemmon, who are pictured below. The drama was about an man with a drinking problem, who marries a woman and makes her become a partner to his ill-advised addiction, so he wouldn’t be alone. The movie received five Oscar nominations, including nominations for the lead actors, and won an Oscan for the theme music. 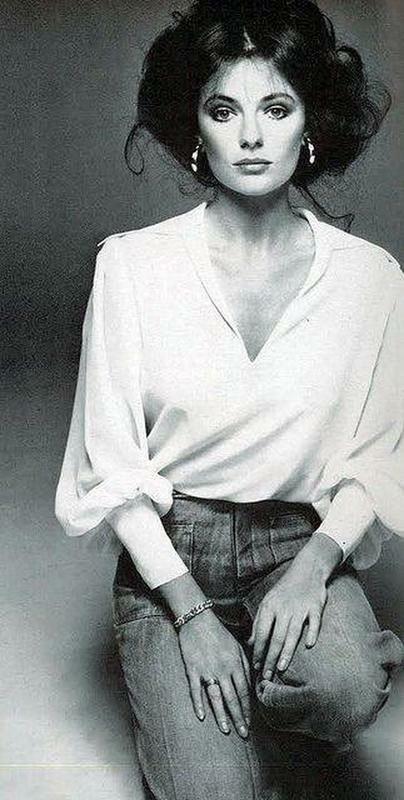 Pattie was one of the most beautiful models back in the day, as well as a photographer and author. The gorgeous model had famous musicians Eric Clapton and George Harrison, both competing for her hand. Harrison married Pattie, but Eric Clapton never gave up. In fact, his album Layla and Other Assorted Love Songs was inspired by his love for his best friend’s wife. And after Harrison was unfaithful, Clapton finally won her heart and married her. The couple divorced in 1988, and Pattie is now married to Rod Weston. Who remembers the adorable puppet band The Banana Splits? 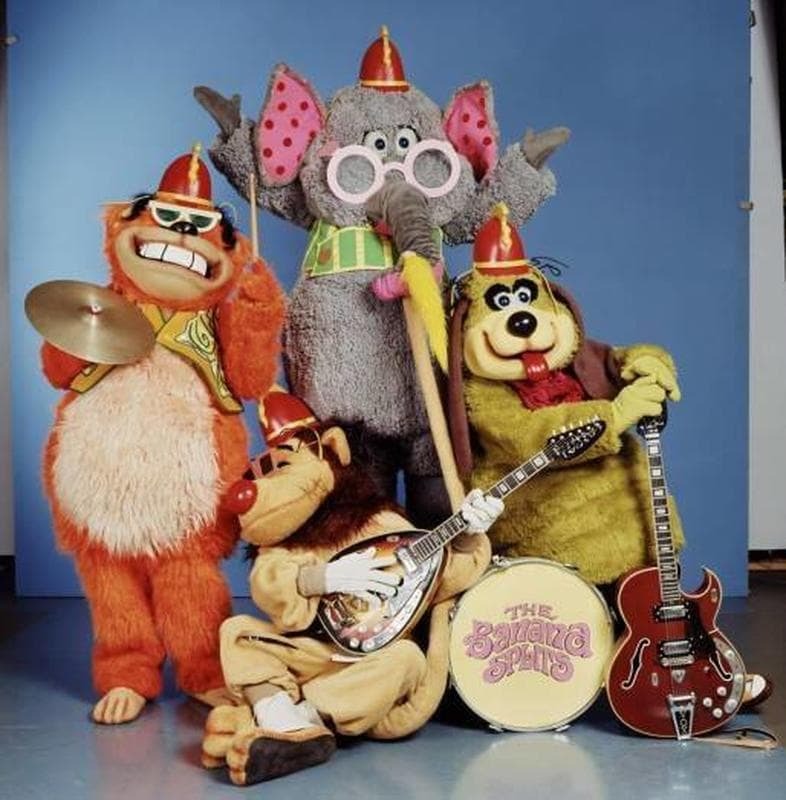 Along with Fleegle, Bingo, Drooper, and Snorky, The Banana Splits Adventure Hour was an hour worth of fun with the fictional band of puppets keeping us entertained. The variety program was produced by Hanna-Barbera, and ran between the years 1968 and 1970. It was a perfect combination between live action and funny animation segments, and it was definitely the cutest thing on television at the time. This image of Led Zeppelin playing in New York in 1977 is a classic. 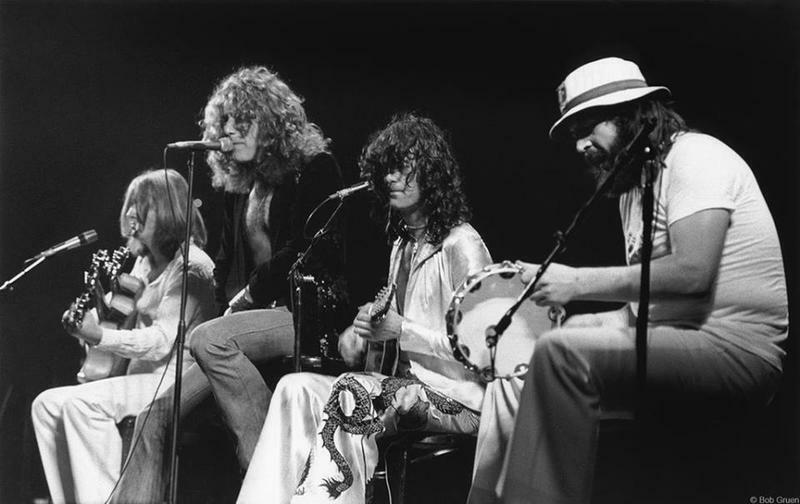 The iconic band consisting of guitar player Jimmy Page, Robert Plant, John Paul Jones, and John Bonham, were the pioneers of heavy metal, who generated their own unique style, influencing many future musicians. They received inspiration from blues, folk music, and even psychedelic music, and although they were controversial – they remain one of the major bands in the history of music. Julie Christie was truly the icon of swinging London in the 1960s. She received her acting breakthrough when she played the female lead role in the fantasy drama Billy Liar. She has since become a film legend – Al Pacino even called her “the most poetic of all actresses”. But the star grew tired of the glamorous life and eventually decided to give it all up in favor of living on a sheep farm in Wales. You may remember the children’s show Captain Kangaroo, since it aired for nearly three decades. The show’s creator, Bob Keeshan, played the main character of Captain Kangaroo, and based his performance on the relationship that kids have with their grandparents. It revolved around life in the Treasure House, where the captain told his stories to the children. It was a popular show, and the longest running show of its kind, during the time it aired. If there’s something that identifies what it was like to live back in the 60s or 70s, this telephone should do the trick. Making phone calls is such a big part of our lives, and nowadays, our phones have turned into intelligent gizmos that can practically do everything but walk on water. 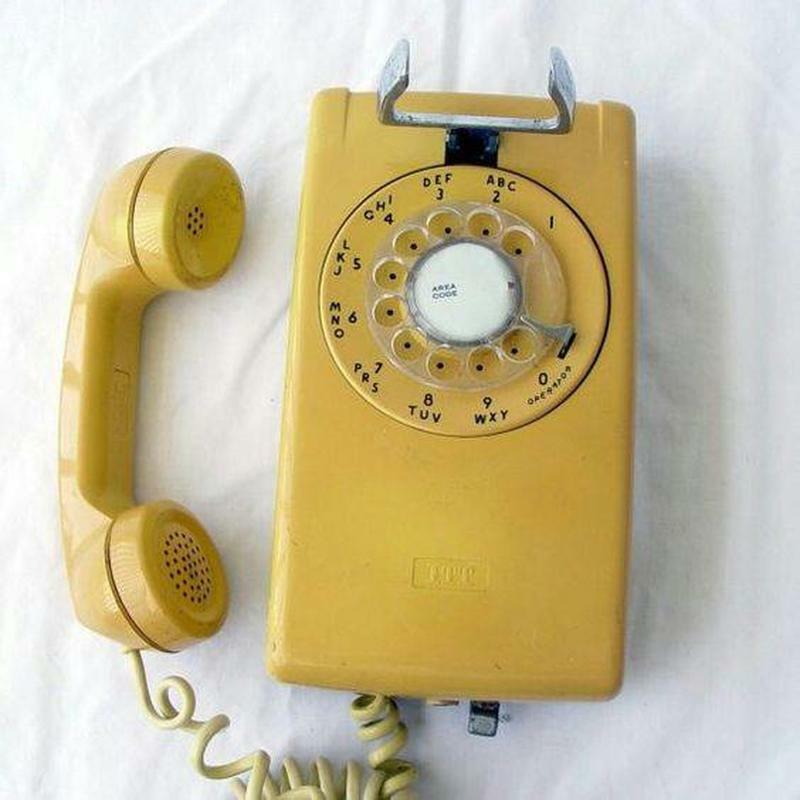 Back in the day, if you wanted to dial a number, you had to stick your finger in those holes you see before you, and start turning. There are many things in the world that people can be nostalgic about… They can be actors or actresses, certain household items, maybe even a restaurant – and for a lot of people, cars. 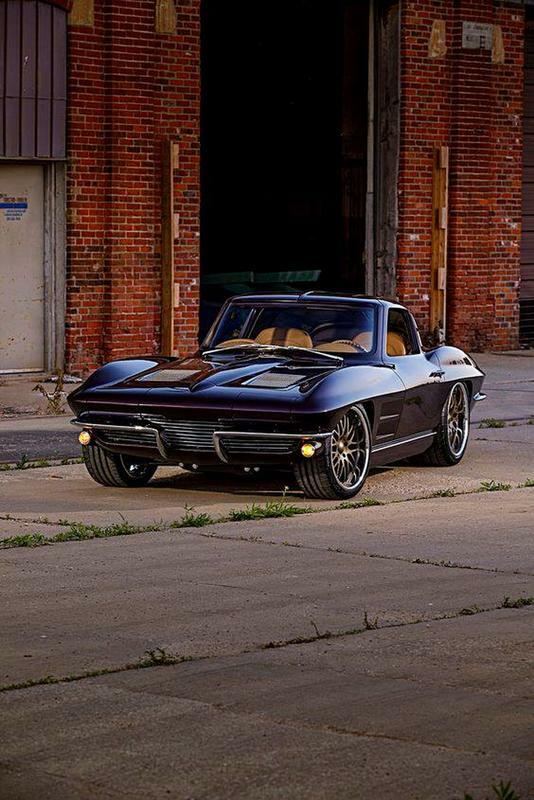 As you can see, the Chevrolet Corvette was a certainly a beauty, and people back in the day absolutely loved it. This particular model , the Split Window Coupe, was manufactured from 1963-1967, and although they stopped making it, people never forgot about it. Posing suggestively in a fun looking photo shoot, Connie Stevens was an actress that became well known for her role as Cricket Blake in Hawaiian Eye, a action television series. After that, she started appearing in films as well, such as The Young and the Dangerous and 18 and Anxious. These are only the tip of the iceberg, because Stevens was a staple in Hollywood for many years, and people have always loved her innocent charm. During her filming of Faster Pussycat Kill Kill, a movie that came out in 1965, this picture was taken of her Tura and as you can see, she looks as chill as can be. In fact, this shot looks like it was taken from the movie itself, and that only adds to the overall nostalgia of what we’re seeing. People loved this movie, and people probably loved her even more. So much of the movie’s success was thanks to this young woman, and people never forgot about her. Everyone seems to have their own opinion regarding where they loved Julie Andrews most, but everyone can pretty much agree about how amazing she was in all of her classics. The obvious popular ones are the iconic films of Mary Poppins and The Sound of Music, both films that displayed both Andrews’ delightful spoonful of sugar voice, and her outstanding acting as well. Nowadays, people forget what she looked like when she was young and off the set… so here you are. This title was a reference to all of you who already know that the “boss” is a nickname for none other than Bruce Springsteen, the well known rockstar. 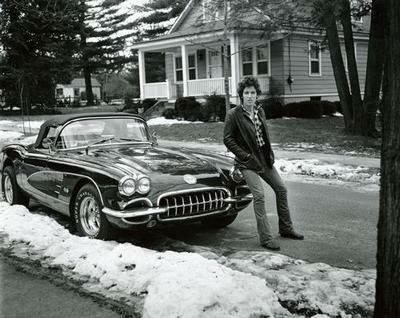 When we said his “baby,” we were obviously referring to his baller Corvette that he’s leaning on in this picture. There are many iconic musicians that have been talented enough to make us feel inspired by their music, and Bruce is certainly one of them – his songs are nostalgic, and pretty untouchable. 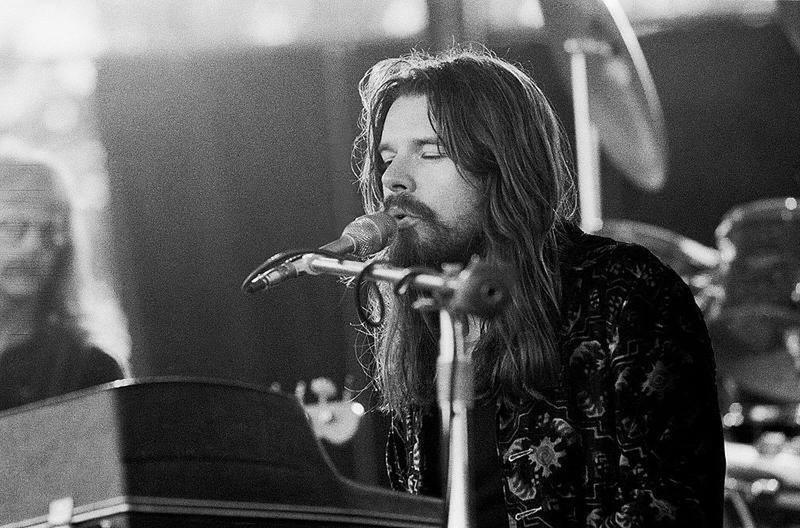 Another one of the all time greats in history of rock n roll was none other than Bob Seger. In the coming-of-age film American Graffitti, the song Night Moves gets displayed for the first time, which is of course a Seger-penned tune. But that was by far not his only famous tune – he had plenty of other classics such as Ramblin Gamblin Man. If you were a fan of Seger back in the day, we wouldn’t be surprised if this picture brings back memories. One of the funnest things about being a movie star is something you may not expect. Being under the spotlight can be harder than you might think, and for that reason, even the greatest of celebrities need their down time to unwind. That’s why we believe that one of the funnest things about being a movie star are the hangouts behind the scenes! 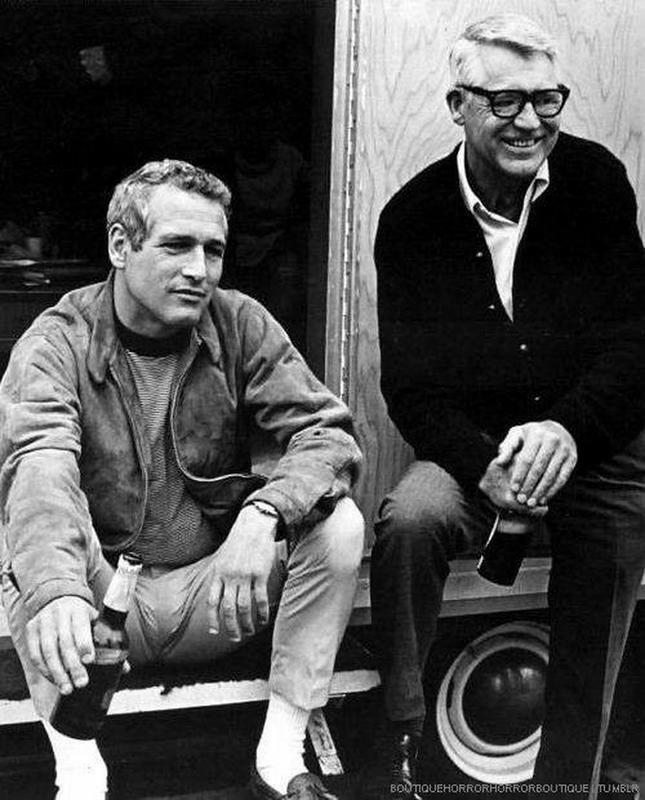 Cary Grant and Paul Newman know this, and as you can here, they are just like regular buddies as they share a drink on set. To this day, movies that revolve around fast cars have a certain audience, which is why film series such as Fast and the Furious are still around. But these films were influenced heavily by movies like this one – Easy Rider. 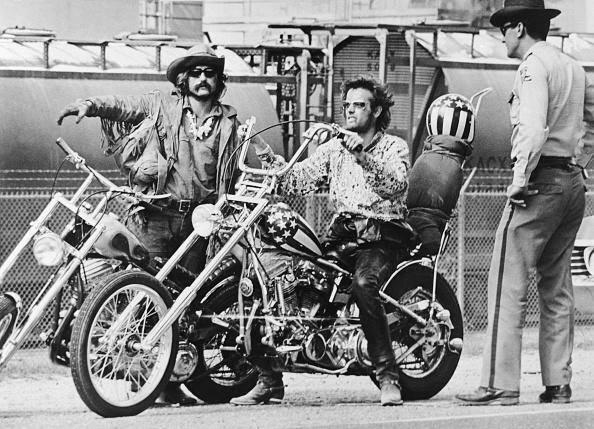 Unlike the Fast and the Furious series, Easy Rider focused primarily on motorbikes, and most especially Harley-Davidsons. There is a reason that Harleys are so popular nowadays, and it’s because of movies like this one. 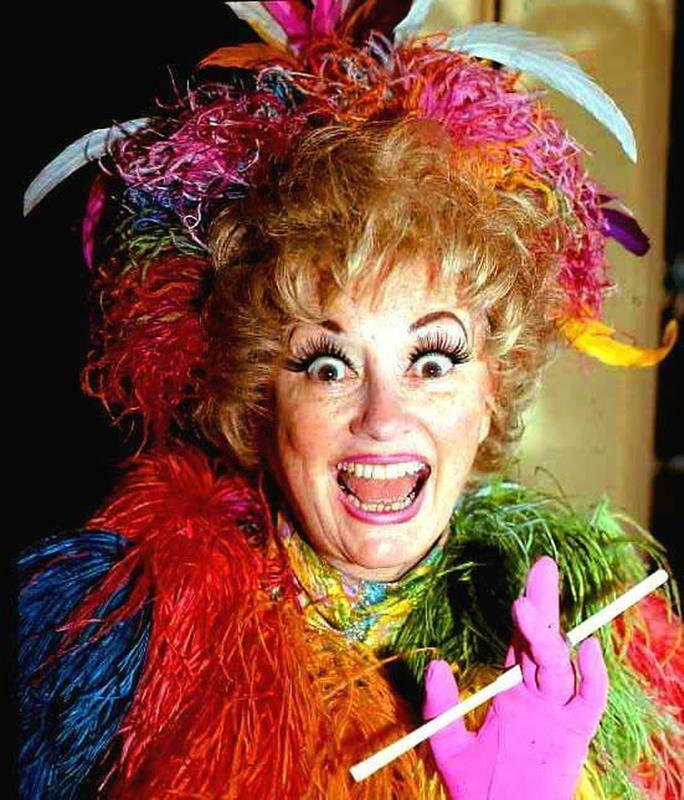 If you want to talk about nostalgia, we can’t imagine that Phyllis Diller wouldn’t make the cut. A stand up comedian and actress who was iconically characterized and well known for her eccentric personality on stage as well as her cackle of a laugh, you’d be hard put to forget about her easily. That being said, as years upon years pass by, memories can fade into the distance, and we want to make sure she doesn’t get forgotten by you for good. Years upon years before the Marvel movies modernized the superhero genre on the big screen, the small screen was doing their part to try and depict our favorite characters. In the late 70s, a television show was created called the Incredible Hulk, and it was… well it was incredible. 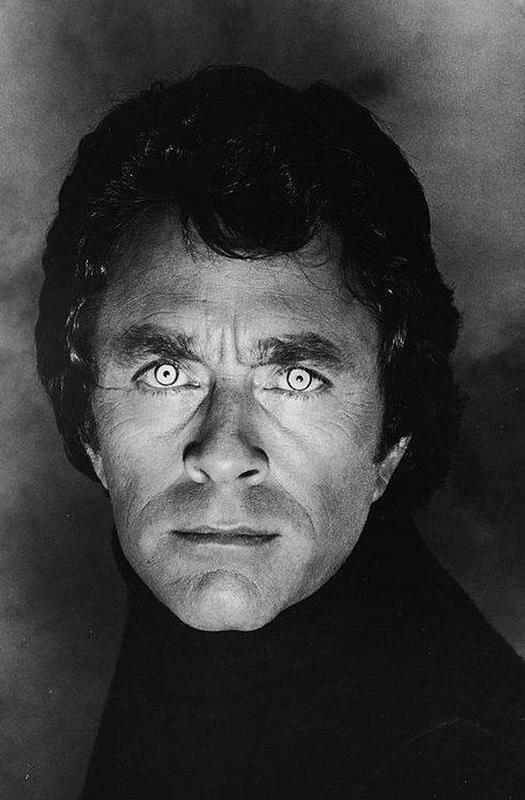 Starring Bill Bixby, who portrayed the role of David Banner, this was one of the first real tastes the world got of the Hulk on screen, and it was an interesting foreshadow of what was to come. We’ve been talking about a lot of different music artists, and the reason is because so many of them held such a high stake within people’s hearts back in the day, that it can be very nostalgic to see their old pictures now after all these years. 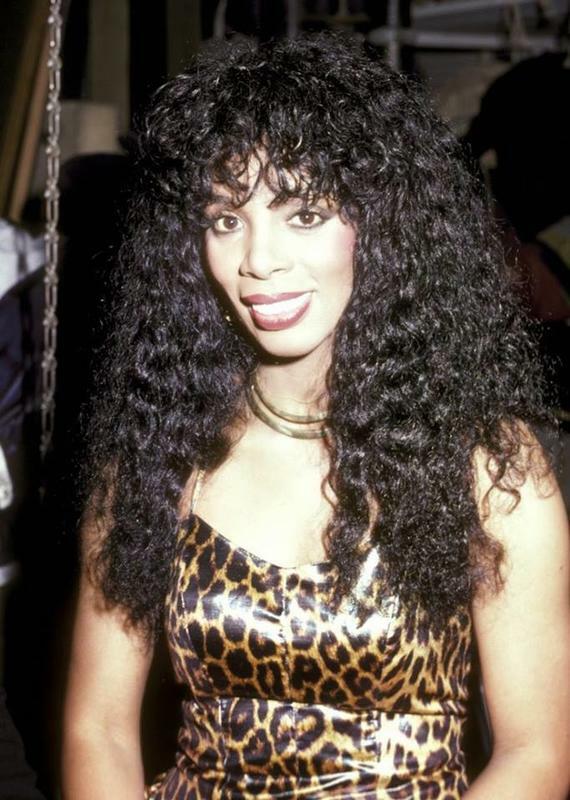 As you can see here, Donna Summer is wearing a leopard print dress, probably preparing herself to have a nice dance, or maybe put on a memorable concert for thousands upon thousands of screaming fans. As we mentioned earlier, if there’s something that many people out there definitely love, it’s their superheroes. And when the world of cinema started making films that brought our favorite comic book characters to life on stage, well it just made us all go nuts nuts nuts! 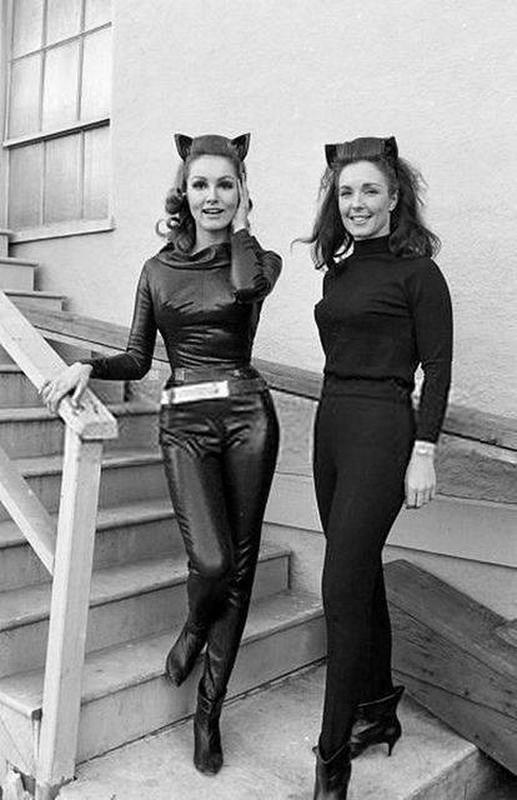 This was especially the case when Julie Newmar emerged as Catwoman in the Batman television series, and here’s a rare behind the scenes photo of the lovely Neymar and her stunt double. Perhaps one of the most iconic television sitcoms of all time is without a doubt The Brady Bunch. We are not kidding in any sense of the word when we say that, because even the ones who didn’t grow up in the 70s knew about this show – cause it’s all their parents would ever talk about. 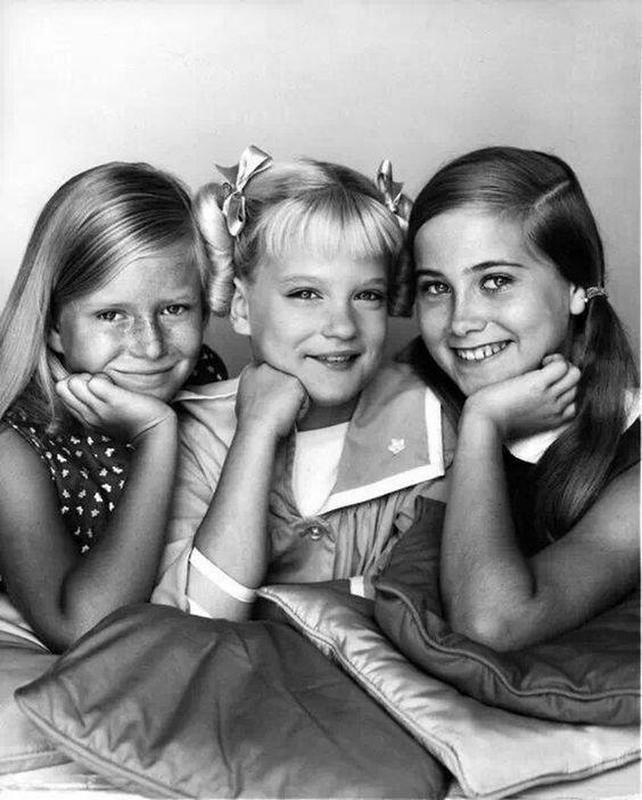 Here we have a cute picture of the three sisters, Jan, Cindy, and Marcia, right on the brink of their first season. Little did they know that their show was about to explode. Hollywood is known to attract the best actors and actresses from all over the world, and therefore their arms were open wide when Englishwoman Jacqueline Bisset emerged onto the scene. Although she is known primarily for her acting roles in shows and films such as Bullitt, The Sweet Ride, and The Detective, she also did a lot of modeling gigs. As you can see here in this piece for Vogue, she was a natural at it, and this is why people never forgot her. Humor is an interesting thing. It’s ever flowing river that changes over time, and is constantly influencing each other. 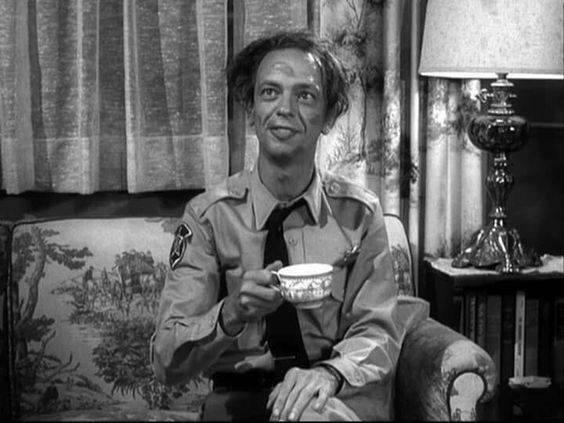 Barney Fife was one of the most classic comedy characters of all time on television, portrayed by the comic genius of Don Knotts. 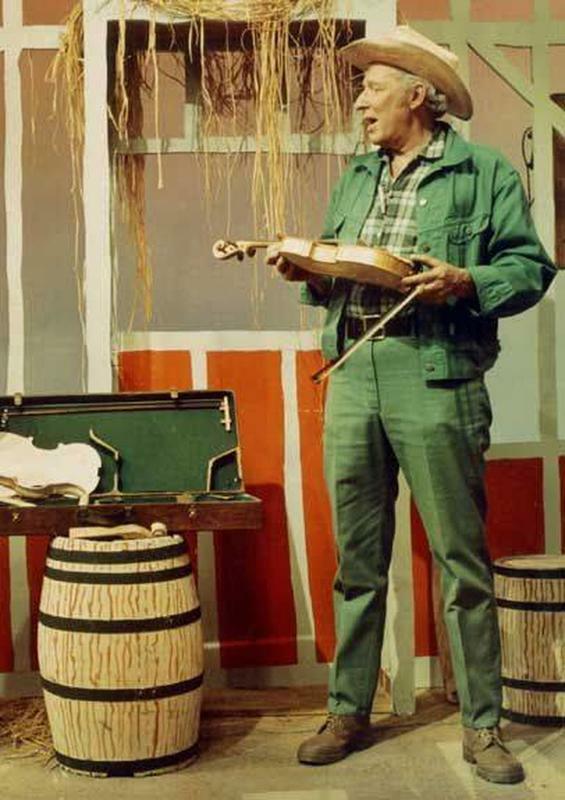 When you want to talk about influence in the comedy world, Knotts definitely needs to be in the conversation somewhere, because when you look at this picture, you can’t help but feel a little nostalgic. There are many different types of musicians out there. There are the kind that always need to be the center of attention, and then there are those who have just as much fun hanging in the background, and acting as the much needed supporting cast. The famous E Street Band were the latter, serving as the main backing band of Bruce Springsteen, as well as many other artists too. To be successful in anything in this life, it’s important for one to find his or her niche, and these guys certainly did that. Now how could you not get nostalgic by taking a look at this photo. 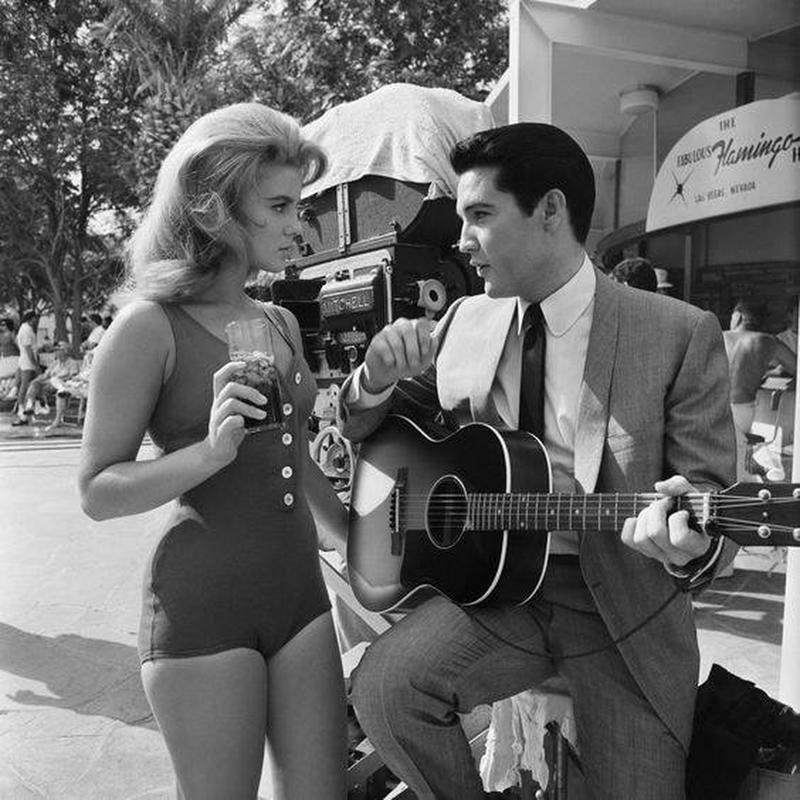 The legendary rock n roll pioneer Elvis Presley, or the “King” as some call him, is sitting down with an acoustic guitar and talking to actress Ann-Margret on the set of Viva Las Vegas. The two seem to be deep in intimate conversation, which makes sense when you consider that the pair actually dated for some time. But romantic relationship or not, any picture will Elvis is bound to spark some nostalgia. Since we’re on the topic of classic music pioneers, let’s pivot a little bit and talk about the romantic relationship of Frank Sinatra. He actually married the well known model Mia Farrow when she was at the ripe young age of 21, and she’s the one candidly staring at the camera in this picture. But Farrow eventually moved on from Sinatra, and started getting involved with celebrities such as conductor Andre Previn and actor Woody Allen as well. There are many factors that can lead to a band becoming successful, and one of them is their image. When it came to a band like KISS, such a big park of their stage persona had to do with their facepaint. 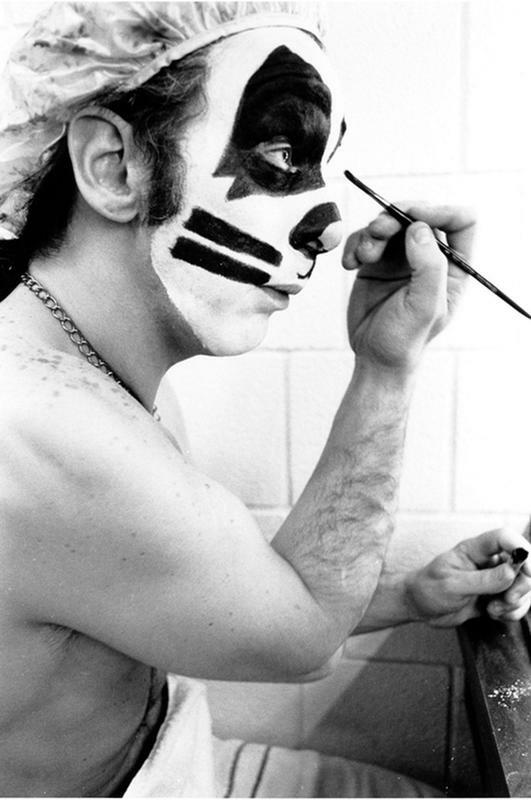 As you can see in this picture, drummer Peter Criss took the painting of his own face very seriously, and we’re sure that this was the case with the rest of the band as well. If this isn’t nostalgic for you to see, we don’t know what is. 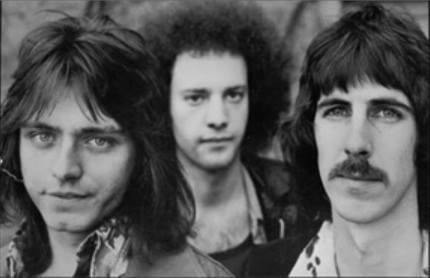 Before Benjamin Orzechowski and Ric Octasek were rocking it in the band The Cars, they were part of the band Milkwood, along with the lead guitar player Jas Goodkind. This picture from 1972, was taken a year before their album How’s the Weather? came out and failed to appear in the charts. In 1976, Ric and Benjamine started The Cars, together with their lead guitarist Elliot Easton, drummer David Robinson, and keyboardist Greg Hawkes. This time, their album sold over six million copies and stayed on the Billboard 200 album chart for over a hundred weeks. Despite achieving success this time around, the band sadly broke up back in 1988. It’s hard to believe that Saturday Night Live is still on the air after over 40 years, and still making us laugh hysterically. 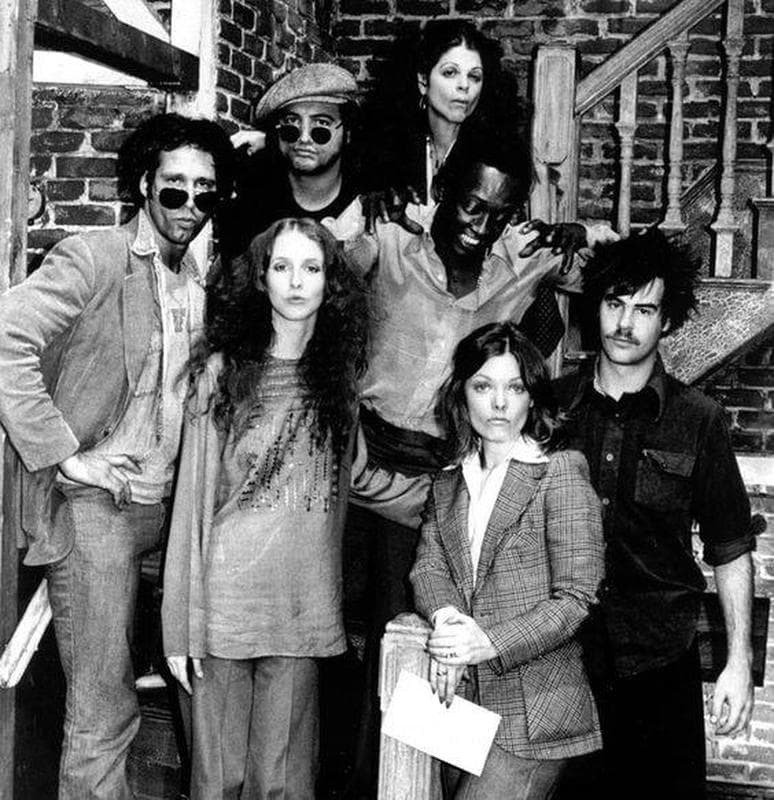 The iconic sketch comedy show became a hit when it was first broadcast in 1975, with the cast pictured below. They had well-written, funny materials and they kept their viewers on their toes by constantly touching the most relevant and controversial topics out there. SNL has grown many talents over the years, most of them becoming the greatest comedians we know today. 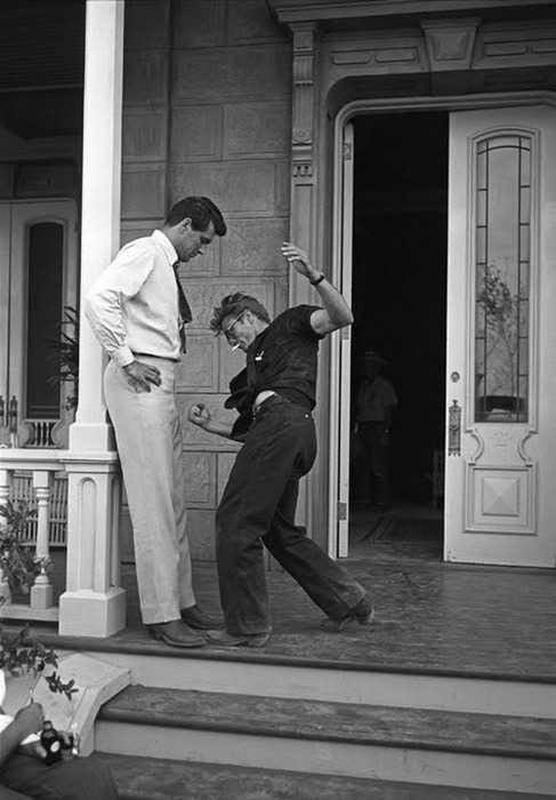 In this picture are Rock Hudson and James Dean on the set of the movie Giant, in the year 1955. The Western drama featured many stars, such as Rock Hudson, Elizabeth Taylor, James Dean, Carroll Baker, and Dennis Hopper. Giant the last movie James Dean made as a leading actor before his tragic death in a car accident. His performance was so captivating, he received his second and last nomination for an Academy Award for it, but he sadly passed away before the film was even released in the theaters. This iconic picture is one of the last ones for this actor, who remains legendary even until this very day.